Phnom Penh (FN), Nov. 7 – Giuseppe Conte, Prime Minister of Italian Republic sent a congratulatory message to Samdech Techo Hun Sen on the occasion of the re-election as Prime Minister of the Kingdom of Cambodia. 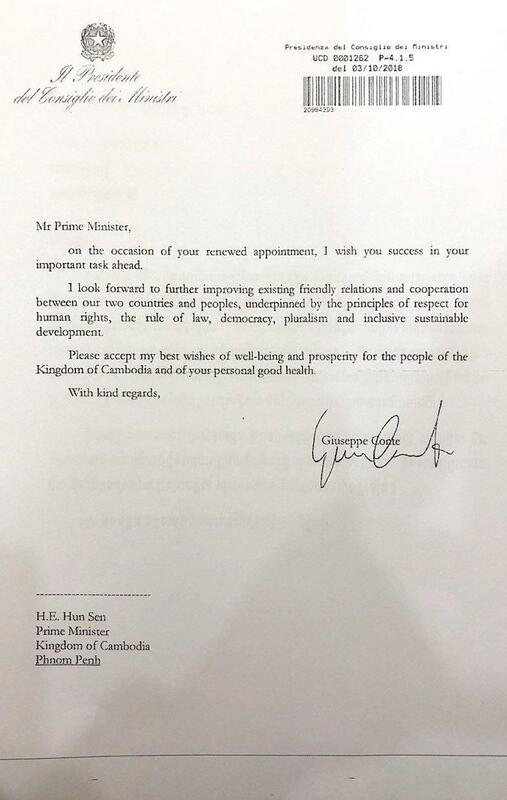 “On the occasion of your renewed appointment, I wish you success in your important task ahead,” Giuseppe Conte wrote in the letter addressed to Prime Minister Hun Sen.
“I look forward to further improving existing friendly relations and cooperation between our two countries and people, underpinned by the principles of respect for human rights, the rule of law, democracy, pluralism and inclusive sustainable development,” the letter added. In response, Prime Minister sent back the thank-you letter to Giuseppe Conte. 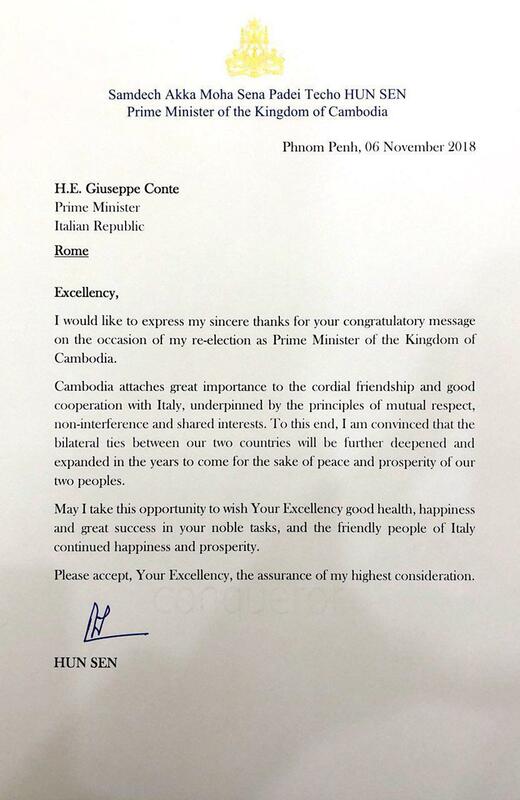 “Cambodia attaches great importance to the cordial friendship and good cooperation with Italy, underpinned by the principles of mutual respect, non-interference, and shared interest,” according to the letter dated on 6 November.